Blurb: While pretending to be a male soldier, farm girl Sara Brewster falls for a handsome Union army surgeon. When her secret is revealed, will a lavish Christmas Eve ball work in her favor–or will her heart be broken? Kirk Ellison is shocked to discover the assistant he thought of as a boy is a young woman disguised as a man. As his feelings for Sara grow, he must convince her she can fit into his society life, if he’s to make her his own. 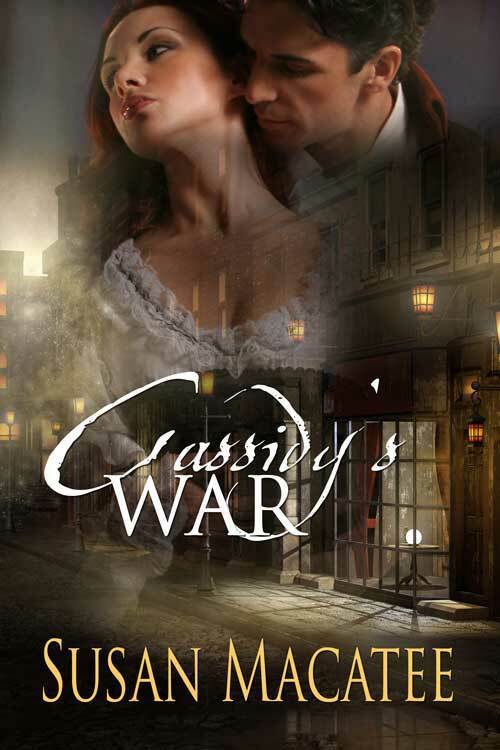 The Civil War is over, but Cassidy’s War is just beginning. Cassidy Stuart longs to attend medical school. Training beside her physician father and serving as a nurse during the war have only increased her desire to be a doctor with her own practice. When the man who left her at the altar returns, she’s determined not to let him upset the plans she’s set for herself. Until his mission is accomplished, George Masters must hide his identity as a Pinkerton agent as he investigates a physician living in George’s former hometown, a short distance from Cassidy’s home. When he finds Cassidy hasn’t married, he hopes he can rekindle their love while trying to protect her and the townsfolk from the evil Dr. Madison. Can their love be renewed despite the villain’s desire for revenge against them both?